Solo travel. It’s one of those things that everyone says you have to do at least once in your life. If you’ve never traveled without your partner, family members or group of friends, the thought of solo travel can be pretty intimidating, but it can be a wonderful experience. 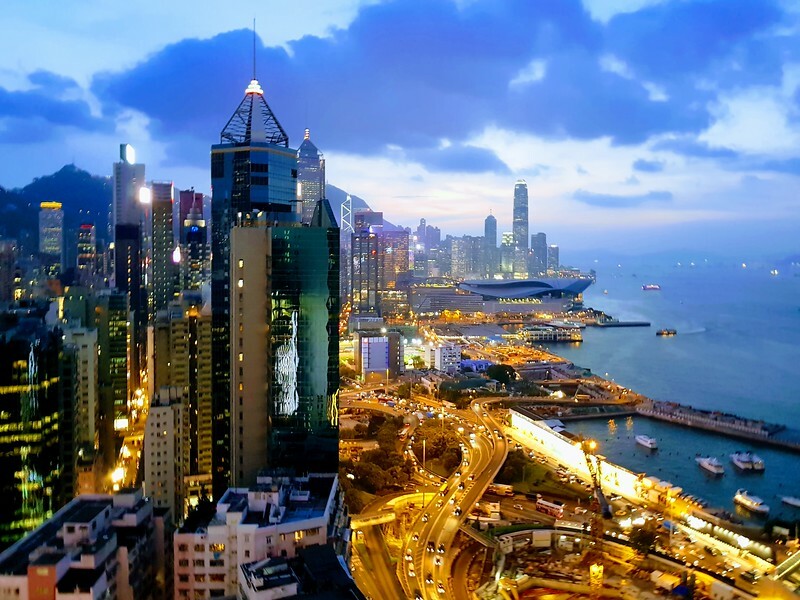 If you’re looking to take your first trip alone to a beautiful destination, guest contributor, Sophie Kate Baker, is recommending solo travel to Hong Kong as a perfect trip to get out of your travel comfort zone. Hong Kong is the perfect place to experiment with solo travel. It has so much to offer, with an incredible fusion of East and West making it a city full of history, culture, food and nature. Hike up to Victoria Peak for the best view in the city, take a day trip to Lamma Island and go for a hike and a swim, lose yourself in the hustle and bustle of the Mong Kok markets, or revel in the beauty of the light displays from the comfort of a boat during a night cruise across the harbor. If you’re used to Western culture, there’s just enough familiarity to keep you comfortable but just enough difference to excite you. Let’s take eating alone for instance. Coming from Europe, the US or the UK you might worry that people will stare at you, laugh at you or wonder what you’re doing. You’ll soon find that it’s not uncommon at all to eat out alone in Hong Kong. The locals often eat lunch alone and tables at a small local restaurant are generally made up of five or six individuals eating at one table, but still eating alone. Looking for a place to stay in Hong Kong? Start your search for hotels in Hong Kong with us! What does that mean for you? Eating alone is not a “big deal” like it might be in your home country. You can head into any restaurant with your head held high and order whatever you want, without feeling awkward. Hong Kong is a city where foodie dreams come true, so take advantage of it! Sample dim sum from an authentic tea house, eat char sui with a group of strangers, feast on noodles and do it all with reckless abandon! Hong Kong has no shortage of great views and city lights. This photo was taken from inside the swanky Excelsior Bar. Stepping foot into Myanmar or Bolivia for your first ever trip by yourself could be amazing, but it also could be seriously daunting and even disorienting. Hong Kong on the other hand is familiar enough and small enough to navigate confidently. There’ll be plenty to challenge you, but you’re unlikely to end up panicking and breaking down in tears because you’ve got off the wrong stop on your bus and you have no idea where you are, nobody speaks English, and some dodgy “helpful” local is possibly trying to scam you out of tons of money to get you back. Everything is posted in both English and Cantonese, so you’ll be able to find your way around – with the help of Google maps. The public transport systems are easy to understand and fairly extensive, covering most of the island. If you somehow do manage to get lost or hit a crisis despite this, you could get a taxi across basically the entire of Hong Kong island and because they are so affordable, it still wouldn’t break the bank. Taxis are readily available and run on very clear metered systems, and will never scam you. And although the local population is predominantly Chinese, English is an official language so most shopkeepers or people you pass on the street (all 7 million of them) will speak enough English to be able to help you out in a pinch. The city is fondly nicknamed the “New York of the East” because Hong Kong, like it’s American cousin, is a city that never sleeps. Another reason that Hong Kong is perfect as a first solo travel destination is that it’s safe. An incredibly low crime rate means that even as a woman by yourself, you can walk the streets late at night or get a taxi alone without having second thoughts. As with any place on earth, it’s probably wise to take the usual precautions of being aware of your surroundings when walking, not flashing money around and so on but – ask pretty much anybody – it’s hard to feel unsafe in pretty much any situation in Hong Kong. 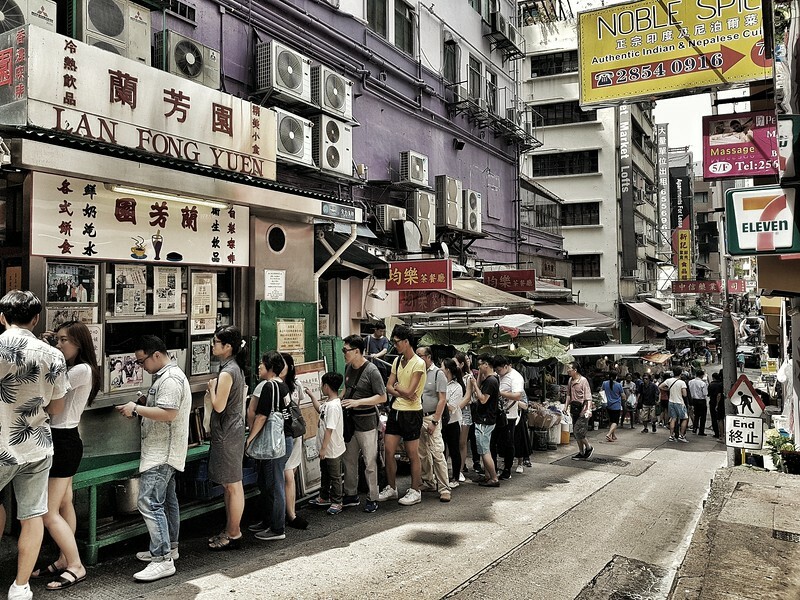 Locals line up to get their fix of another Hong Kong delicacy, Milk Tea. If you’re considering your first ever solo travel trip, Hong Kong doesn’t disappoint. You get to try dim sum, explore local markets, get totally taken aback by an unfriendly local woman ushering you out of her Char Sui shop as soon as you’ve put down your chopsticks after your last bite and dip your toes into Asian culture while still being able to have a glass of wine and pasta in a familiar, Westernised setting in the evening followed by a taxi home to an apartment with all the mod-cons you’re used to, if you so wish. 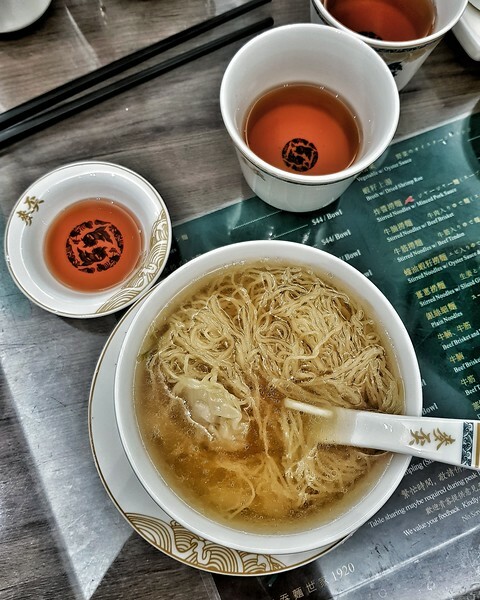 Don’t miss out on Hong Kong’s famous wonton noodle soup. Mak’s Noodles are some of the best in the city. Cruising to Asia? You’ll want to check out our Asia cruise excursion reviews before leaving home. 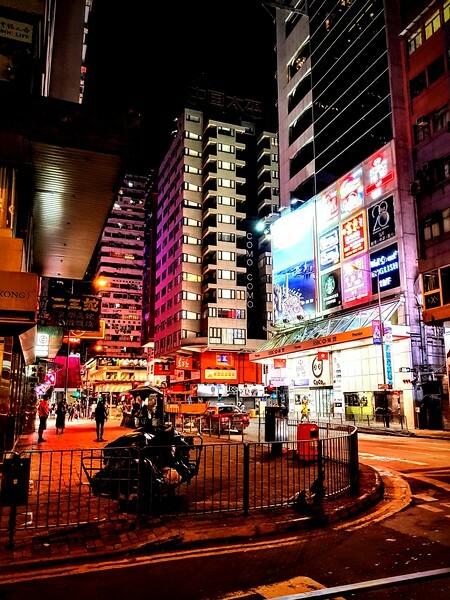 Considering Solo Travel to Hong Kong? Come join the conversation at the My Itchy Travel Feet page on Facebook. Or send us an email with your thoughts. Sophie is a Johannesburg-based freelance writer whose live revolves around four things; food, horses, writing and travel. She's lived in four countries, visited many more, and is notorious for her continual love affair with carbs; particularly sushi and burgers (yes, together!). Sophie is also a horse fanatic, proud foodie and wannabe globetrotter. Her ultimate dream is to combine her two biggest passions, equestrian writing and travel writing.